LIBERTY, Mo. — The trip to Jefferson City for the state cross country championships is becoming old hat for Platte County’s Jackson Letcher. 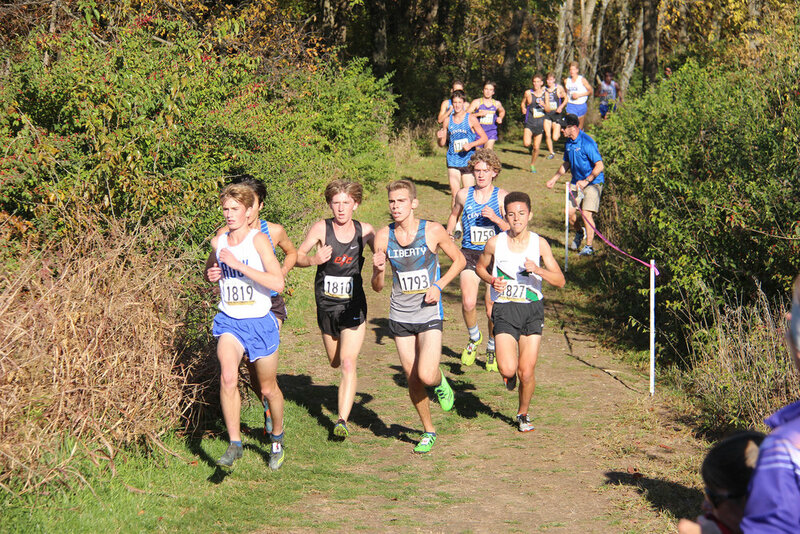 The senior punched his fourth trip to the finals with a top 30 showing at the Class 4 Sectional 4 meet held Saturday, Oct. 27, at the Wildflower Cross Country Course located next to Liberty North High School. Letcher was the lone qualifier for the Pirates out of five total runners between the boys and girls races. In a very competitive boys race, Letcher crossed the line in 16 minutes, 41.64 seconds and took 17th place. The top 30 runners — and the top four teams in the standings —moved on to Oak Hill Golf Course for the state championships on Saturday, Nov. 3. Letcher had the highest finish of the group of eight area runners in the field. Teammate Evan McPhatter placed 36th and was eight seconds off the top 30 spots. The last qualifier spot went to Liberty North’s John Sieren. Of the top 30 spots, Rockhurst had six of them and earned the district title. Staley, St. Joseph Central and Liberty North — the second through fourth place finishers — had four each. That left 12 spots for the rest of the teams to battle for a state bid. Park Hill South nabbed two of those spots with Christian Ludtke and Quentin Worley placing in the top 30. Ludtke took 19th (16:42.77) and Worley was in 22nd (16:43.63) — giving both sectionals qualifiers a chance to move on. Both were part of Park Hill South’s team that advanced to state last fall, with Ludtke taking 107th and Worley finishing 139th. The season came to an end for the Trojans. Junior Isaiah Phillips took 37th and sophomore Dan Foster finished 61st in his final race for Park Hill. Foster, an all-conference and all-district runner, will be moving with his family to Arizona in December. Park Hill and Park Hill South will represent the area in the girls state finals. South finished with two qualifiers, while Lelise MeKinnon will be the lone Trojan at the state meet. Skyelar Nelson and Paige Snider were the two Panthers to move on to represent last year’s Class 4 state champions. Park Hill South sophomore Skyelar Nelson, left, placed 15th overall in the race and will advance to state for the second straight year. Nelson was just a freshman and Snider a sophomore last year when a senior-laden squad of Emma Roth (now at Missouri), Marti Heit (now at Oklahoma) and Keely Danielsen led Park Hill South to the state title. Nelson wasn’t a top 30 runner last year, but went to state and ran — placing 134th — for the Panthers. This year felt more special, as she placed 15th overall in 20:19.46, one spot ahead of MeKinnon, who finished in 20:21.35. MeKinnon, a first-year cross country runner who moved to the United States from Ethiopia in May, will try to add onto a season where she earned all-conference and all-district honors. Snider, a junior, took 28th and nabbed one of the final spots at state, running 20:37.29. Last fall, she was 66th place at the state race. Platte County, Park Hill and Park Hill South all three runners in the sectional race. 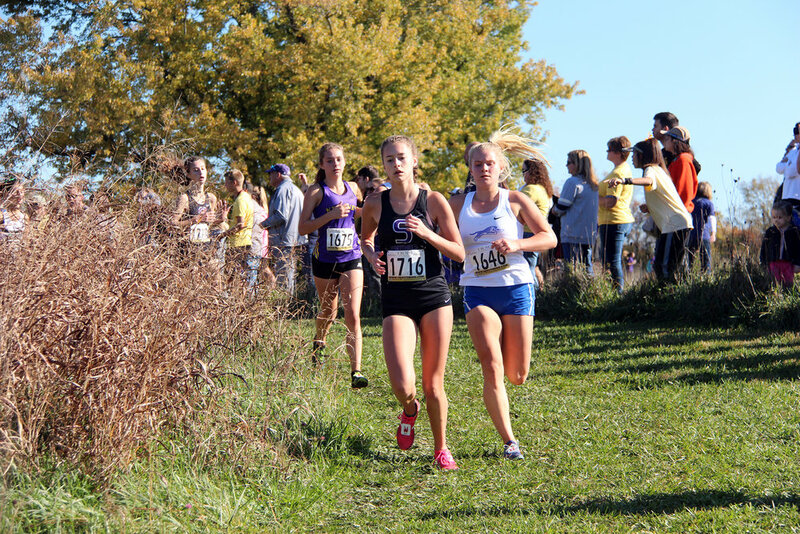 The Pirates saw Taylor Giger and Maddie Klippenstein finished in order, 42nd and 43rd, respectively, while Ryanne Rhude was 52nd. All three runners are sophomores so the future is bright for Platte County. “We were disappointed we didn’t get any girls to state,” he said. “They will be more motivated next year and we can push them a bit more since they are older. Park Hill’s Avery Blakley was 48th and Brooklyn Niebaum was 72nd and Park Hill South sophomore Marisa Garcia was 66th.